For the live action part of the Disney movie "The Reluctant Dragon" large size character illustrations were needed to dress up the set. The movie opened in June of 1941, so these photos were probably taken earlier that year. 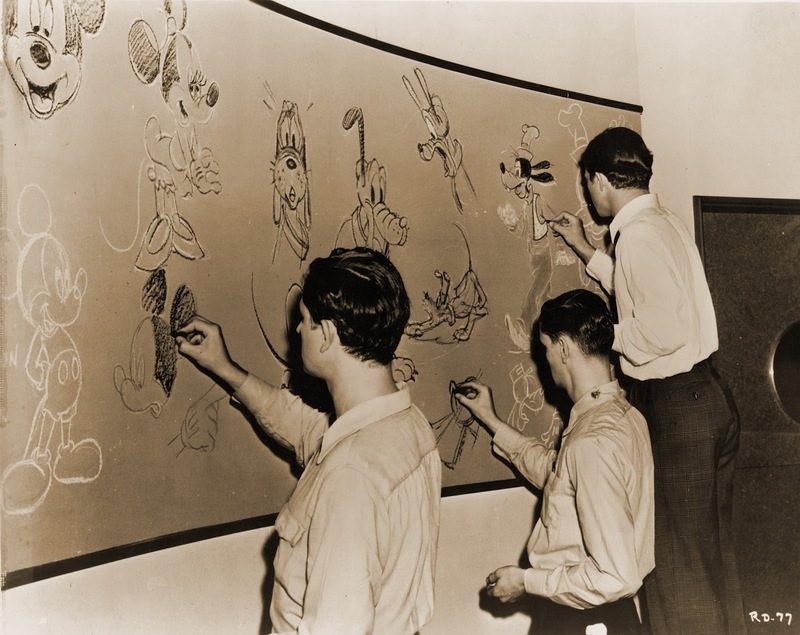 Here are a bunch of young animators taking a break from their desks in order to provide "set designs" for the film. Even at this early age these artists were already masters of their craft. 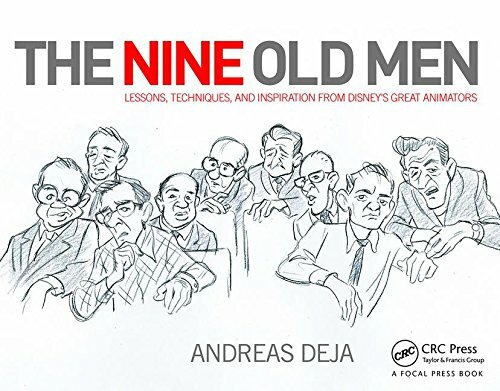 Under Walt Disney's guidance they elevated the art of personality animation to unimaginable heights. The first photo shows Milt Kahl and Frank Thomas sketching Bambi and Thumper. Behind the ladder are Les Clark and Eric Larson. We can't see it here, but Eric is drawing centaurs from Fantasia. In the second photo Les Clark shows up again, he is working on Mickey and Minnie. 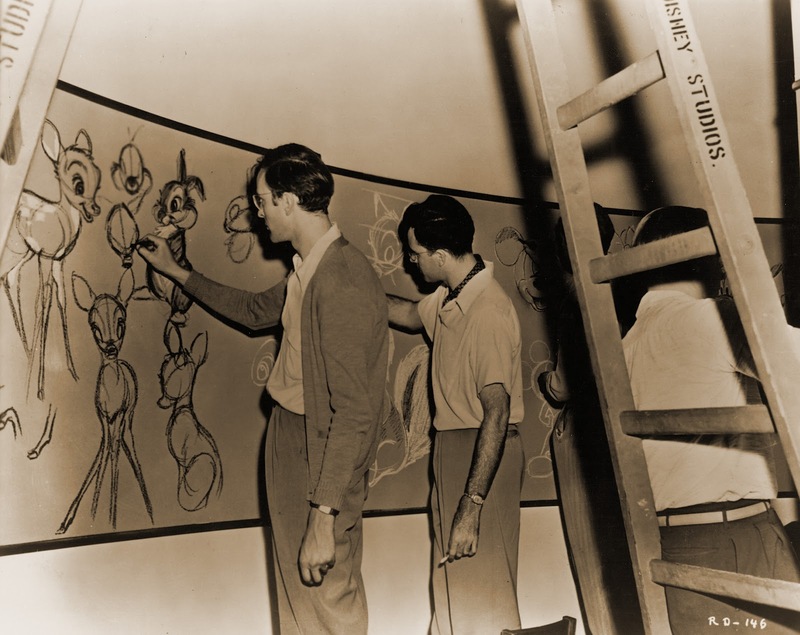 To his right are John Lounsbery with Pluto and Art Babbitt sketching Goofy. I am sure Walt knew that with talents like these you could move mountains and go places. Only Art Babbitt wasn't a part of the Disney decades that followed.